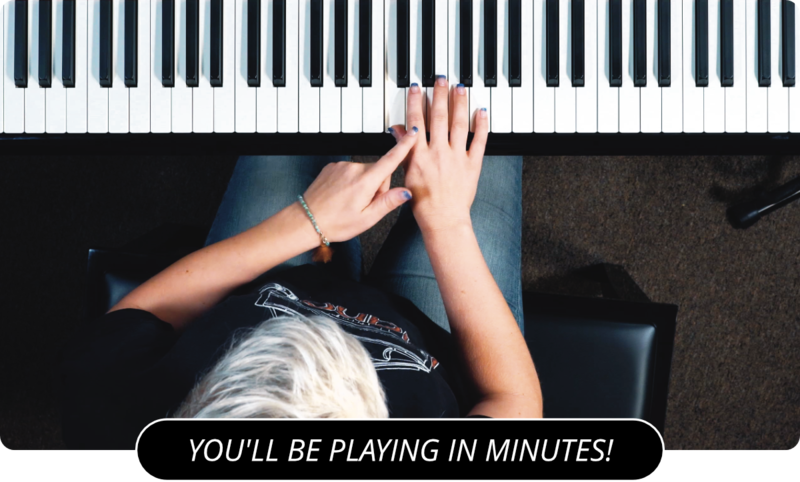 Learn How To Play The C Minor Melodic Scale On Piano! Today I want to teach you the C Minor Melodic scale. As you might know by now, melodic scales have a couple of different notes as the descend than they do as they ascend. The notes for this scale are C, D, E flat, F, G, A, B, C on the way up. Coming down from the C they are B flat, A flat, G, F, E flat, D, and C.
The right hand starts one the thumb. When the third finger hits the F, the thumb comes under to hit the G and continue up the scale. You will finish the climb with the pinky on the C. Coming down, don't forget to hit the B flat instead of the B natural, then the A flat instead of the A natural. From there the walking down is as simple as reversing your steps. the left hand starts off on the pinky finger and continues until you get to the G with your thumb. At that point, cross over with your third finger and finish with your thumb on the C. Again, on the way down reverse your steps, but don't forget the B flat and the A flat. For the next piano lesson , check out the C Sharp Melodic Piano Scale .